A simple to use online service for the delivery of staff training. But with the ever-expanding list of training requirements set out by the DfE and a lack of budgets to fund all the additional training, it’s not uncommon for schools to train just one member of staff on a chosen subject. It then falls on that teacher to disseminate the information to the rest of their colleagues. Getting all the relevant members of staff in one place at one time to conduct the training is no mean feat and is invariably going to impact on the teachers already packed timetable. So, could online training provide the most cost effective and time saving solution? Imagine a system where you can quickly and easily convert your training material into an online course. In just a couple of clicks, send out your training to all the relevant staff who can then complete the training at a time to suit them and you can sit back and watch the results come in. No need to imagine – TrainingToolz does just that. 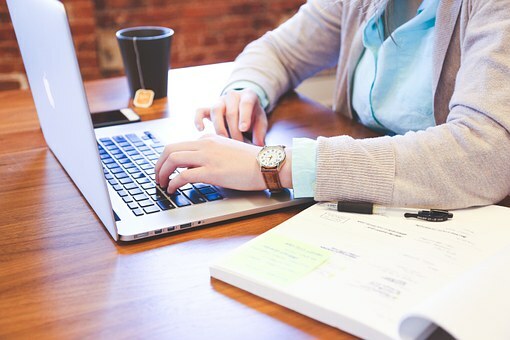 This simple to use online service can be mastered in minutes, allowing you to take your content and create an online training course in a very short space of time. When your material is ready, simply choose your candidates and send out a link directly to them from the system. You can then monitor the activity, check responses and send out reminders all from the straight-forward dashboard. 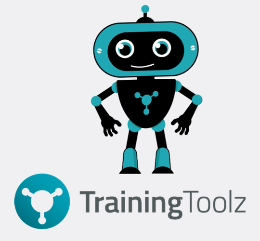 Whether you need to deliver just one training course, or are responsible for delivering staff training throughout the year, TrainingToolz can help. But first you need to create your course. To make things easy, TrainingToolz allows you to do this for free. So, you can try out the system with absolutely no obligation. You only begin paying for membership when you start implementing your training and at only £25 per month, with no contracts or tie-ins it’s a cost-effective way to create and deliver internal staff training. Rarely, these days, does a week go by, when we don’t hear coverage on the news about cases of online bullying. You’d be forgiven for thinking that this phenomenon, tagged as ‘cyberbullying’, is mainly aimed at children, such as the tragic story of 14 year old Megan Evans, from Millford Haven, who, in February 2017, was driven to take her own life, following a consistent campaign of cyber-bullying on the social media site Snapchat. Such stories are particularly heart breaking when they involve children. Equally concerning though is the increase with which teachers are on the receiving end of similar bullying and abuse and often from the parents of the children they teach. The National Association of Head Teachers (NAHT) receives hundreds of calls every week from teachers who are being ‘cyberbullied’ The majority of such complaints are about parents using websites and social media, in particular, to attack those they entrust with their childrens’ education. This week, the media has emphasised the problem of inappropriate online posts by singling out some of the top web and social media sites for failing to do enough to prevent illegal and hateful content being shared online. We live in a world where anyone can instantly vent their emotions, positive or negative, to an ever-attentive online audience and it seems that the louder we shout the bigger the audience that can be reached. An angry tweet or Facebook post, from a disgruntled parent, aimed at a teacher, could potentially go viral within minutes of being shared, without that teacher being aware that their reputation is being dismantled online while they sleep. Remember the days of pre-social media and even before email, when you had to write a letter? If you had a complaint, you would invariably put it in writing or visit the school in question, sitting down face-to-face with your son or daughter’s teacher and thrash out your concerns in a reasonably civilised manner. Only the most abrupt and confident of disgruntled parents would resort to name calling or verbal abuse, when sitting in the same room as the person they had issue with. Much of what is posted on social media today would rarely be said if that person was face-to-face with their intended target. As long ago as 2009, research from the Association of Teachers and Lecturers (ATL) showed that 63% of teachers who had suffered cyberbullying personally said they had received unwelcome emails. Over a quarter had had offensive messages posted about them on social networking sites such as Facebook and 28% described being sent unwelcome text messages. In 2016 More than half of the 1,188 head teachers who replied to a survey by schools management service, The Key, said that parents' online behaviour was a problem. 15% of the heads themselves, mentioned that they had suffered from negative behaviour from parents. More than half of heads surveyed said that parents’ online behaviour was a concern. The NASUWT teacher’s union has described the online bullying of teachers by parents and pupils as a ‘growing trend’. It’s important to understand how the result of this behaviour can affect the children of those parents who are taking to social media to vent their frustrations. Teachers are experiencing anxiety and depression, paranoia, often having to take anti-depressants. The result of these measures means that teachers are becoming worn down and in some cases, unable to do their jobs to the best of their ability. This of course has a negative impact on the children they teach. The more the parents persist with their online attacks, the less effective an education their children receive. In short, such online abuse is self-defeating in the long run. There is one over-riding rule, when it comes to criticising a teacher online and especially in public and that is DON’T! Hold your horses, count to 10, whatever you do but resist the all too easy temptation to fire off a tweet or a Facebook post. Let’s face it, when you use social media in such a way you are hiding behind your very own Facebook wall. The person your criticism is aimed at cannot defend themselves, at least not adequately. This approach is itself a form of bullying - is that how you want to come across? Rule 1. Stop and consider what you want to achieve from your criticism. Are you angry and your criticism is simply a way to vent your frustration? Aside from momentarily getting the anger off your chest and most likely upsetting the person the criticism is aimed at, what will your comment achieve? Will it improve the situation you’re unhappy with? Most forms of criticism, unless constructive, can be categorised as aggressive behaviour. The definition of aggressive behaviour is a personal attack, verbal or physical on another person. This type of behaviour rarely gains the support of others, directly involved or those who observe the attack (other online viewers). Rule 2. Consider the impact your criticism may have on your victim. That late night, emotional tweet or post-beer Facebook post takes only seconds to construct then share but its impact on the person it’s intended for can last a lifetime. One of the earliest and probably most famous ‘victims’ of online abuse, goes back to the administration of former US president Bill Clinton. Monica Lewinski, who Clinton finally admitted to having relations with, talked about the severe suicidal tendencies she experienced in the aftermath of her affair and the torrent of online abuse she received; her mother would stand in the bathroom whilst Lewinski showered, to make sure she didn’t act on her feelings. Why does online humiliation have such an impact though? Shame and guilt (perceived or real) are 2 of our core emotions, which we’ll do almost anything to avoid experiencing. These emotions mean that we have failed to live up to our own moral standards. One outcome, when we’re criticised publicly, is that we become concerned that others will think we’re a bad person, this can have a devastating impact on some people, creating a spiralling down of their own self-worth. Social media and its potential reach, simply exacerbates this feeling of poor self-worth. Is your criticism worth the potential consequences that it may cause? Chances are that it’s rarely the person that you’re unhappy with. More likely, it’s a behaviour or an action you believe they have taken that is the cause of your anger – focus on that action or behaviour only. Teachers are people, sometimes they get things wrong, it’s human nature. To criticise someone’s character (“you are stupid, an idiot, an imbecile) implies that you know this person well enough to suggest these are this person’s permanent character traits. If this were true then it’s unlikely that this person would ever have become qualified as a teacher. Identify the specific behaviour or action you’re unhappy with and if you must criticise online, stick to that issue. When you complain about an action or a behaviour then facts can be assessed to determine whether the criticism is warranted or not. When you attack someone’s character, then it is far more difficult for you or anyone else to justify your actions. It is unsurprising therefore, that people who display regular patterns of aggressive behaviour, have few real friends or supporters. The University of Oxford’s ‘Practical Ethics’ publication, which draws on research from students and researchers, based at the Philosophy Faculty, also explains an irony in the behaviour of people who attack others online. ‘The people who feel the most insecure about a certain character attribute (e.g., being honest) are also the ones prone to call out other people on it, this is known as self-completion theory. Such public criticism is a symbolic act that achieves self-completion and makes people feel secure about themselves. There will obviously be occasions when you have legitimate causes for complaint about the quality of the teaching your child is receiving. Teaching is no more a perfect science than any other form of vocation – people make mistakes, they make poor decisions, they are fallible. How about you, can you boast a blemish free life, personally or occupationally? It is your right to criticise your child’s educators, when you feel the quality of teaching or care falls short of the expected standards. You should do so however, with the intention of improving that quality of education and care. If you criticise simply to put someone else down, then you lower yourself to the level of the playground bully. We would like to thank Steve Phillip of Linked2Success for this article. Steve will be hosting our Digital Reputation webinar in July - to find out more and register, click here.